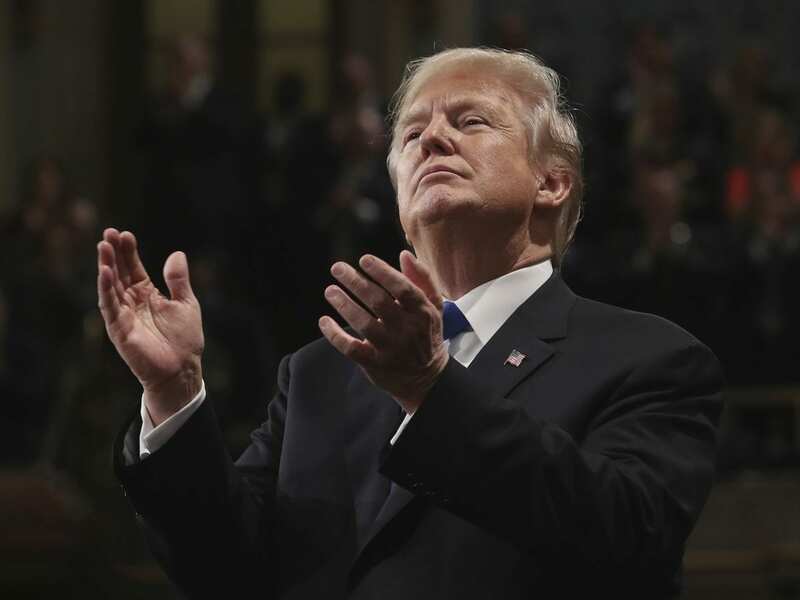 President Trump joined his Republican allies on Friday in piling on with attacks about “bias” in the FBI and the Justice Department as Washington, D.C., waited on tenterhooks for the release of a controversial secret spying memo. The White House said Trump has reviewed the memo and approved its full declassification. The House Intelligence Committee then posted it online. Trump tried to draw a line, however, in saying workday G-men and G-women aren’t part of this: “Rank & File are great people!” he wrote. Trump’s allies in Congress, led by Intelligence Committee Chairman Rep. Devin Nunes, R-Calif., say the real Russia scandal is the FBI conspiracy that they say launched a scurrilous investigation into whether Trump’s campaign conspired with the Russians who attacked the 2016 election. The FBI and Justice Department deny they’ve done anything wrong, and they oppose the public release of the memo. Senate Armed Services Committee Chairman John McCain, R-Ariz., lamented Friday that the controversy over the memo had stolen the focus of officialdom from Russian President Vladimir Putin’s attack on Western democracies that began two years ago. Mueller is also understood to be investigating whether Trump tried to frustrate his investigation into the Russian interference in the election and, if so, whether he or anyone else broke the law by obstructing justice. Nunes’ memo is Republicans’ latest gambit in their defense of the president. They’ve also complained that former President Barack Obama ordered Trump Tower wiretapped during the 2016 campaign, that Obama aides improperly “unmasked” Trump aides and that Mueller withheld evidence from Congress about a 2010 uranium mining sale. The Nunes memo has been described as making the case that the FBI and Justice Department withheld evidence from the Foreign Intelligence Surveillance Court in asking for a surveillance warrant for use against Trump’s campaign. Critics said the memo saga marked a new low point in the already-contentious relationship between America’s intelligence agencies and the congressional committees that are supposed to oversee them.